Om Prakash Rajbhar, a Cabinet minister in the Uttar Pradesh government, slammed the ruling Bharatiya Janata Party (BJP) at a public meeting on Saturday for ignoring the plight of the poor and the backward community. 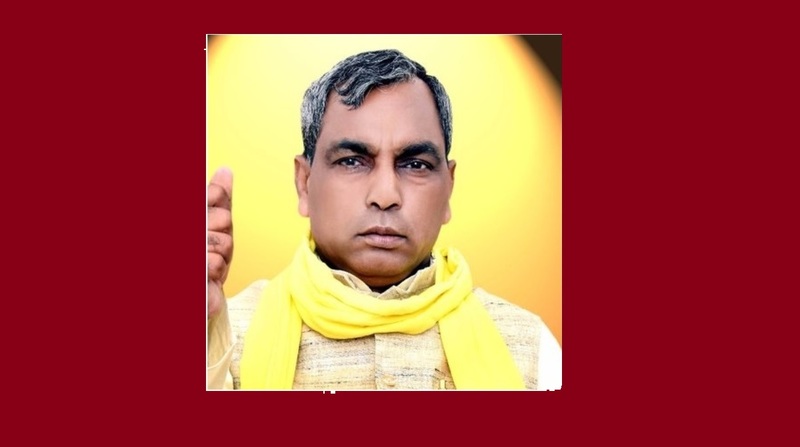 Rajbhar, the Minister for backward class welfare and divyangjan empowerment in the Cabinet of Chief Minister Yogi Adityanath, said that he was now fed up with the policies of the saffron party. “I did not enter politics to taste power; I came to fight for the poor. Shall I fight the war on their behalf or shall I become a slave of the BJP?” Rajbhar said in the presence of his supporters in Lucknow. Expressing anger at not being allocated an office from party activities, Rajbhar said that he is now determined to resign. “I have made up my mind that I will announce my decision to tender resignation from this platform,” he was quoted as saying by ANI. Accusing the BJP of not fulfilling its promises for the poor, Rajbhar said that whenever he took the matter up with the party they diverted it to talks of “temples and mosques”. “Whenever I discuss the condition of the poor they start talking about temples-mosques, Hindus-Muslims,” Rajbhar said. The UP Minister, who is the chief of the Suheldev Bharatiya Samaj Party – an ally of the BJP, was speaking at the 16th foundation day of the party at Ramabai Ambedkar Maidan. According to reports, Rajbhar was particularly miffed at not getting an audience with BJP chief Amit Shah during the latter’s Lucknow visit. The minister has been a bitter critic of the Yogi Adityanath government. A few days ago, Rajbhar had warned the BJP of failure in the 2019 Lok Sabha polls if it fails to clear its stand on the reservations for backwards. “Either decide on the 27 percent reservation for backwards or be prepared to lose our votes in the 2019 polls,” Rajbhar said in Ballia on 13 October. In June this year Rajbhar grabbed headlines when he himself picked up a spade and started repairing a potholed road outside his house in Varanasi’s Fatehpur Khonda. 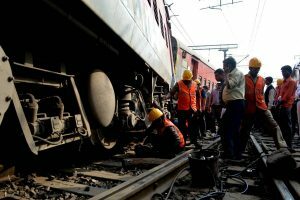 And when the UP government changed the name of Mughalsarai Railway station as Pandit Deendayal Upadhyay Junction, the minister had indirectly reminded that such actions neither help in growth nor ensure trains run on time.